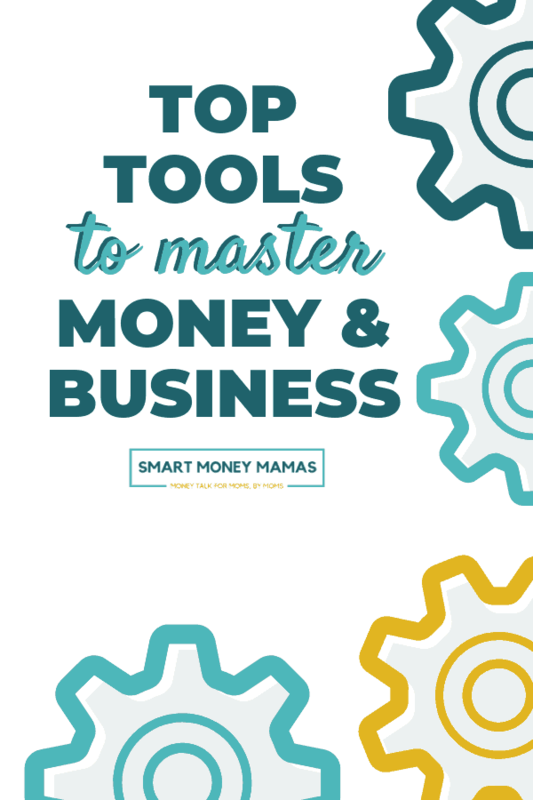 No matter where you stand with your financial or business goals, there are amazing tools that can save you time and money. But how do you know which tools are helpful and which are useless – or worse, scams? This page includes all our favorite resources – that we’ve used ourselves or closely vetted – to help you stay organized, improve your financial health, and reach your goals. We’ll update this page as service offerings change and new courses and products come on the market. Bookmark this page so you can always find the tools you need. Important Note: Many of these links are affiliate links, which means S$M may get a commission if you purchase, at no cost to you. These commissions have no impact on our reviews and recommendations, we only partner with products that we absolutely love. Our absolute, flag-waving, raving fan, favorite budgeting app. Their philosophy of giving every dollar a job makes it easy to break the paycheck-to-paycheck cycle. It has been this tool that has made all the crazy, unexpected expenses that have hit us over the years way less stressful. We recommend to new budgeters and budget pros. While the service does cost $6.99 per month, YNAB estimates that the average user saves $600 by month two! And they offer a 100% money-back guarantee. So if you try it out and don’t feel like it works for you, you can get your money back anytime. Wealthfront is an excellent robo-advisor for your investments (we love their low fees, $500 investment minimum, and tax-loss harvesting) and they have recently added an FDIC-insured high-interest savings account with a 2.24% APY! But Wealthfront also has a number of free tools that can give any family a great overview of their financial health. You can create a full, customized financial plan – even if you aren’t an investing or cash account client! Check your net worth, follow your progress towards retirement, and set other goals for free with Wealthfront for free today! Vanguard is the gold-standard in low-fee index fund investing. They manage significantly more assets than any other provider and are consistently lowering costs and minimums. For hands-off investors, choose from all-in-one funds or manage your own investments with a wide selection of options. This isn’t like the “pink tax”. Women have long needed an investment option that takes into account our unique challenges. Women spend more time out of the workforce than men and live longer. That means it’s even harder to save for retirement. Ellevest is the first robo-advisor that caters specifically to women to make it more likely we reach our goals. 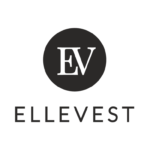 With zero investment minimums, low-fees, and access to great advice – we highly recommend Ellevest. And even if you aren’t ready to switch investment providers, their free, customized investment plans are top notch. For most people, your 401(k) or 403(b) is your largest retirement asset. But are you sure you’re getting the most out of it? Blooom is a robo-advisor that specializes in retirement accounts. They offer an excellent, 5-minute free analysis of your employer-sponsored retirement plan (401(k), 457, 403(b), 401(a), or TSP). Find out if you could lower your fees or reduce risk in your portfolio. Blooom also offers low-cost ongoing management services which are best for hands-off investors who would prefer to never worry about their retirement account again. Dip your toe into the world of investing with Acorns. Automatically invest your spare change (through automatic deposits or “round up” of purchases) in one of Acorns’ Smart Portfolios, made up of low-cost ETFs. Also grow your account with “Found Money”, cash deposited in your account when you purchase with partner retailers like AirBnB, Lyft, DirectTV, Walmart, and over 200 other brands. You’re unlikely to get rich using Acorns flagship “investing with spare change” model, but we love that it lets you get used to looking at a small portfolio, riding through market cycles, and hopefully can empower you to invest more than dimes and quarters in the future. Fees start at just $1 per month. If an emergency separated you from your family or you passed away unexpectedly, would they have what they needed to keep the business of your life in motion? The In Case of Emergency Binder puts the information your family would need at their fingertips. Also known as a legacy binder or “in case of death” binder, the Family Emergency Binder will guide your family through all those things we hope never happen. The Family Emergency Binder is a fillable PDF and includes over 100 pages of simple, printable worksheets, 14 easy-to-navigate subsections – no shuffling through drawers and file cabinets, and the perfect mix of cold-hard-fact and emotional legacy. Including your son’s favorite lullaby. Apply for term life insurance in minutes online – you may not even need a medical exam*! We like Haven’s dedication to serving their customers throughout their life, not just in case of death. Haven’s policyholders get a will from Trust & Will for free with a year of unlimited updates, a free LifeSite subscription – an online safe deposit box, and a 15% discount at MinuteClinic locations (including their weight loss program). *While applicants in excellent health may not need a medical exam, it is crucial you be honest on your application. Not being fully truthful can prevent your policy from being paid out if you passed away. Getting a quality will, or setting up a trust, doesn’t have to require an expensive trip to an estate attorney. We love Trust & Will’s easy-to-use and robust estate planning platform. And it’s entirely online! Wills start at just $69, and if you aren’t ready to complete a will, you can name legal guardians for your children for $39. Trusts start at $399 and include a revocable living trust, schedule of assets, pour over will, and living will. Not sure what any of that means? Trust & Will’s platform will walk you through questions about your situation to determine what your family needs. Regardless of the type of insurance you’re shopping for, PolicyGenius can likely help you compare rates and get the best deal. Users put in some anonymous data (location and size of your home or height, weight, health conditions, depending on the type of insurance), and see quotes instantly from over a dozen carriers. Once you’re ready to choose a quote, create an account and enter your personal information to finalize your policy. PolicyGenius allows you to compare rates and buy life, disability (long-term and short-term, renters, homeowners, auto, health, vision, travel, and pet insurance. Shop rates quickly and easily online today! Monitoring you score with the Credit Scorecard won’t impact your credit and will keep you in the know if new inquiries are made on your credit or your score changes. Want to check multiple refinancing rates for personal or student loans quickly and easily? Credible will show you rates from up to 11 lenders after filling out one simple form. 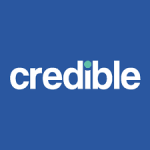 There is no fee for Credible’s service, you can consolidate credit cards, finance moving, home, medical or other expenses, or refinance Federal, private, and Parent PLUS loans. And there are never prepayment penalties. In just 2 minutes you can get actual rates (not a range) and without a hard pull on your credit report. If you see a rate you like, you can move forward directly from the Credible platform. Credit unions often offer the most consumer friendly banking and loan terms. But, until now, it was hard to access a number of credit unions at once – especially ones outside your local area. LendKey is partnered with hundreds of non-profit credit unions and banks to bring you student loan refinancing offers online. The application process only takes a few minutes and you can compare a number of options from different institutions. Debt associated with associates, undergraduate, graduate, and doctoral degrees are eligible for refinancing with LendKey. Loan terms are between 5 and 20 years, there are no origination fees, and fixed or variable rate loans are available. As a busy mom, shopping online is a way of life. Ebates’ browser plug-in makes it easy to get cash back from the purchases you’re already making. Every quarter you get a deposit directly to your PayPal account (or a check in the mail), without having to do a thing. We also love the coupon code finder in the Ebates plugin, which saves you the time of searching for promo codes. Pro tip: Watch for double or bonus cash back offers at retailers where you shop frequently. We wait to order photo books as gifts for family when Mixbook has bonus cash back deals! 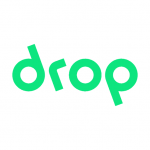 Drop is a cash back service, like Ebates, except you can get money back on all your purchases – not just the ones you make online. Connect your credit or debit card to Drop’s service (this is done through a secure system where Drop can only see your transactions, not initiate charges or make changes) and it will watch for purchases with partner brands and credit your account with cash back. Drop is partnered with Trader Joe’s, Costco, Whole Foods, Lyft, Uber, and many, many more brands. Start earning cash back today! Hate couponing but want to save money at the grocery store? 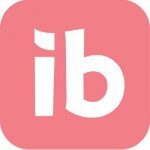 Ibotta is the app for you. We use Ibotta every time we go to the grocery store. To be honest, we stink at remembering to look for coupons and when we do find them, we’re always forgetting to actually bring them to the store. Oops. Ibotta is an easy way for us to get cash back on groceries each week, without having to find time to cruise the internet and local paper for coupons. The demand for writers is high. If you can hit deadlines, follow the direction of an editor, and commit to improving your writing with each new project, you can make great money as a freelance writer. You don’t need an advanced degree or any formal writing training. And the best person to learn from is Holly Porter Johnson. Holly makes over $200,000 a year freelance writing and her course helps new writers pitch effectively and get paid what they’re worth (no writing in exchange for ‘exposure’). When I took the course, it paid itself back when I booked my first client two days later! The Facebook group that goes with her course is a great place to find new writing gigs and learn from experienced writers. Working virtually—from home (or anywhere! )—is becoming more and more common, and the demand for virtual assistants is higher than ever before. 30 Days or Less to Virtual Assistant Success will walk you step-by-step through launching and growing your virtual assistant business. The course founder, Gina Horkey, was a VA and freelance writer herself and her course will help you get up and running quickly and easily. You’ll learn about setting up your online presence, choosing what services to offer, finding clients, pitching potentials clients, what to do after you get your first client, and much, much more. There’s no fluff. The course content is clear and actionable which keeps you from getting hung up on tasks that don’t lead directly to income. And the VA Leads membership—a community that instantly connects you to 100s of other VAs and provides regular new client leads—is worth every penny. If you have a little time to commit to your new business, you really can be earning income in less than 30 days. Do you love teaching and being silly with kids? VIPKID might be the side gig for you! VIPKID allows you to teach English and elementary education online to children in China ranging from ages 4 – 12. You don’t need to know a word of Mandarin; you can work from anywhere you please, set your own teaching hours, and never have to grade papers or create a lesson plan! VIPKID teachers can work as much or as little as they want, but teachers frequently earn over $1,500 a month working 15-20 hours a week. All you need is a Bachelor’s degree, some experience working with children (tutoring, coaching or babysitting counts! ), and a stable internet connection. Does this sound like the perfect fit for you? Click the button to apply! Blogger U is a marketplace of blogging courses where you can learn everything you need to know about building an impactful blog. The content is clear and actionable, the course founder Pete McPherson is always available for course members, and the community is fantastic. We highly recommend New Blogger Bootcamp for new bloggers and Content (That Works!) and the updated SEO course for more established bloggers. You can also purchase the Complete Blogger U bundle to gain access to all current and future courses. Shopify is a platform that allows you to create online stores to sell physical or digital goods. And they are the best at what they do. Today, Shopify powers over 600,000 online stores and their shop owners have generated over $82 billion in sales. The shops are easy to set up, have beautiful and easy to navigate themes and templates, and make it easy to manage sales and inventory. With pricing plans starting at just $9 a month (where you can sell on Facebook or an existing website), Shopify is a great deal to help you increase sales online while maintaining control of your brand and customer information. The Smart Money Mamas Shop is even powered by Shopify! When you’re business was new, you probably didn’t need an accounting software. You only had a few transactions and could use a simple spreadsheet. But as things grow, a service like FreshBooks can help you stay organized for tax season. Starting at $15 per month, Freshbooks is a very popular small business accounting platform with an excellent invoicing system. It is a bit more user friendly than QuickBooks, a major competitor, but does have somewhat fewer accounting and tax tools. Head over for a 30-day free trial! It’s 2019. Your business needs a website. Bluehost offers web hosting from $3.95 a month, including your domain name and an email account. With one click install of WordPress, you can be setup and customizing your site in minutes! Looking to form an LLC, S-Corp, or non-profit properly in your state? You can just download the paperwork from your state’s website, but if you need a little guidance, IncFile can walk you through the process step-by-step and file everything for you. The service costs just $49 (plus your state’s filing fee) and provides great peace of mind that you’re doing everything correctly. We all want to raise financially smart kids who will grow up to move out of our houses, not permanently camp out in the basement. And in a world where money is increasingly invisible, hidden behind credit and debit cards and online banks, teaching smart money skills has gotten harder. FamZoo is our favorite service for teaching kids of all ages how to handle money in a digital world. By using prepaid debit cards, FamZoo allows parents to create a “Bank of Mom & Dad”, where their kids have their own money but still have oversight from parents. FamZoo offers a ton of cool features like the ability to create virtual save/spend/give jars, pay interest to motivate savings or charge fees for bad behaviors like skipped chores. For only $5.99/mo for up to four cards, the cost is well worth the lessons your kids will learn. Traveling with a family can be expensive. You’re crammed in a hotel room and, without a kitchen, you’re forced to eat most meals at restaurants. 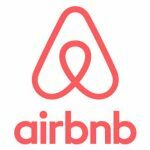 AirBnB can give you a home away from home, anywhere in the world. Sometimes it can be hard to find room in the budget for a massage or dinner out at a restaurant, but Groupon can help make it more affordable. We like to watch for deals on things we wouldn’t typically do – the trampoline park, pedicures, home cleaning services, weekend getaways – and take advantage when Groupon makes those special things reasonably priced. See what’s available in your area today! Sick of trying to come up with a meal plan every week that doesn’t bust the budget? Erin from $5 Dinners has your back. With complete meal plans with delicious recipes that average out to – you guessed it! – just $5 a dinner, all you have to do is print the included shopping list. Recipes are clear and easy to make. $5 Dinners has meal plan and recipe options that are gluten-free, Paleo, and vegetarian. We cut cable almost three years ago and have never looked back. Hulu keeps me up-to-date on Grey’s Anatomy and This is Us and I don’t have to remember to set the DVR. Need a dog walker or someone to watch your furbaby while you travel? Rover can connect you with dog walkers and pet sitters in your area. We love using Rover, as opposed to kennels, because it saves money and Stitches gets a more home-like experience when we travel. Before using a walker or sitter, we meet with them to make sure it is a good fit. If we are screening a sitter, we have always been invited to their home before confirming the booking. These steps by Rover has always made us secure leaving our pup in the care of Rover providers! I’ve vetted every item on this list and organized them by how they can help improve your finances, business, or life. Pin this list to your Pinterest profile so you always have the tools you need!